Periodontal disease, also known as periodontitis, is a bacterial infection of the mouth that occurs after food particles and bacteria build up along the gum line. 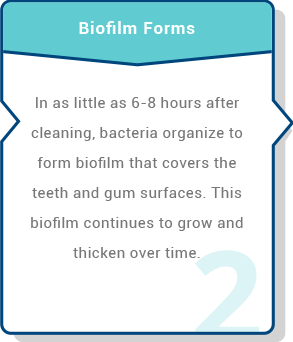 Left untreated, it will lead to inflammation that can cause pain in daily activities like eating and chewing. 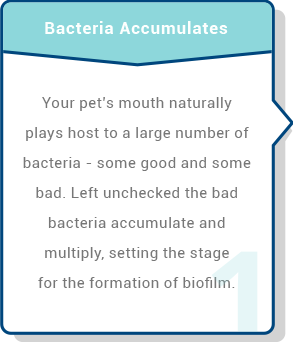 Periodontitis is one of the most common diseases found in both dogs and cats, affecting up to 85% of pets during their lifetime. 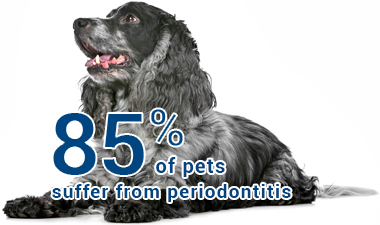 While periodontitis can affect pets of all ages, it is more commonly found in older animals and small breeds. 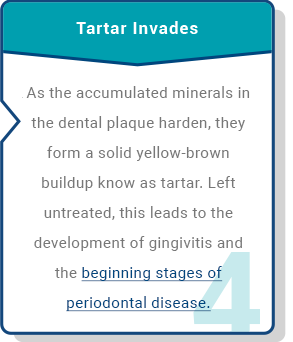 The good news is that periodontal disease is preventable with proper oral care and, if caught in the early stages, it is also reversible.